Previously, we talked about the importance of 5 key elements to your business’ success. So let’s cover each of these elements, starting with the Business Strategy. Imagine you are going on a road trip… what is your first step? Step 1: Figure out where you are and where you want to go. To use an analogy everyone has experience with, imagine you’re going on a road trip. Before you head out, you want to make sure your vehicle is up to the challenge. How are the tires, brakes, lights, oil, washer fluid? Do you have a full tank of gas? Do you have the right supplies, such as water, snacks, etc.? You want to make sure nothing obvious will stop you from your road trip. Know where you want to go: Now that you understand your current situation, you need to look forward. With your business, you want to ask yourself “what do I want my business to look like in 5 years?” Are you planning an exit strategy, or do you want the business to be a legacy for your family? Is there a certain revenue threshold you want to hit, or a market size? The more you can articulate a clear picture of your future state, the more you will be able to get other people to rally around you and support that vision. To use our analogy, you want to paint a clear picture of a road trip up into the mountains north of Whistler. Your final goal will be you parking your car beside a beautiful lake, pulling out your fishing rod, and beginning a weekend of fishing rainbow trout while looking at snow-capped mountains with your family. Before you get leave, you better double check you’ve also packed your fishing rod, tent, and anything else you might need, because there won’t be many stores around! Did you check that your tent doesn’t leak? Step 2: Decide how to get there. You may be able to influence some of these factors, such as paying higher salaries to attract the right people or running an online marketing project to boost your online presence rather than letting it grow organically. The bottom line is you need to pick through the various options and decide what path will add the most value to the business, and help you achieve your vision. You also need to decide what doesn’t add value to your business and say No to those things. In the same way, that road conditions can change, the industry and your life can too. It is important to be constantly re-evaluating what your objectives are and making adjustments along the way. Throughout this strategy process, you should develop a clear idea of what products and services your company will offer to the world in order to achieve your strategy. 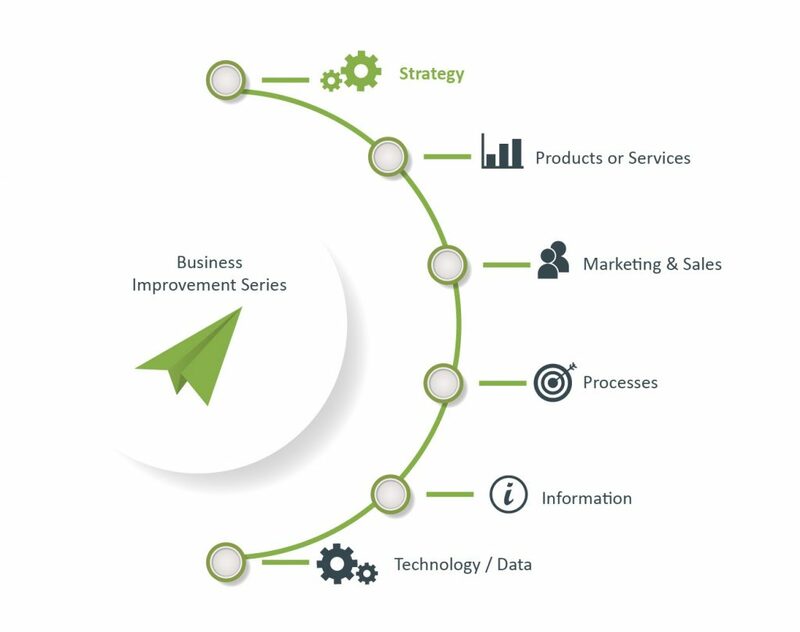 This is something that we will touch on in our next blog of the Business Improvement series- so stay tuned! Business Strategy – Time to get started! If you and your employees don’t have a clear picture of your business strategy in mind, how will you know what success looks like? Spend the time to develop a strategy that is clear, actionable, and will achieve the long-term vision of your business. Your strategy will be your guide to everything else that happens in your business and keep your staff focused on the end goal. And that dictates which products (or services) to focus on. If you’re not sure where to start, give our team at Rise Advisors a call. We will guide you through the strategic planning process, ensuring you have a clear vision of your future and a robust, actionable plan to get there.